An original A4 pastel painting of your pet. 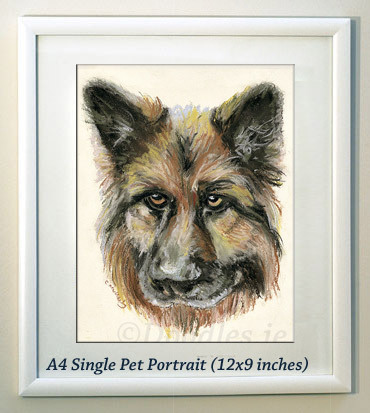 This size is suitable for a detailed head study of one pet only. This payment is a 20% Deposit for a Custom A4 Single Pet Portrait. Total Cost �250 & Shipping. 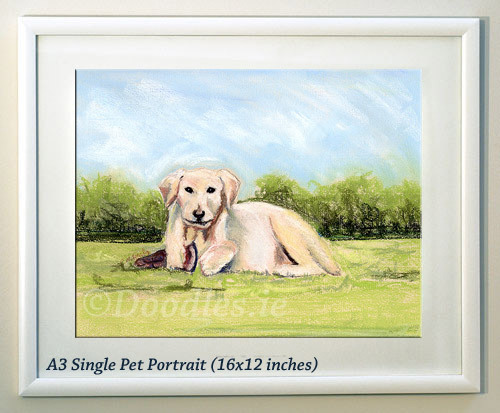 An original A3 pastel painting of your pet. This size is suitable for either a detailed head study, or fully body.This payment is a 20% Deposit for a Custom A4 Single Pet Portrait. TOTAL PRICE �350 & Shipping. 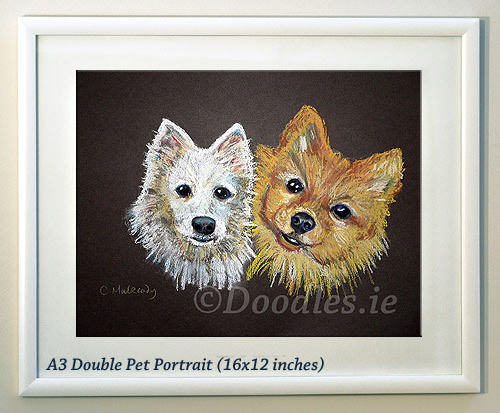 An original A3 pastel painting of more than one pet. This size is suitable for either a detailed head study, or fully body.This payment is a 20% Deposit for a Custom A3 Multiple Pet Portrait. TOTAL PRICE �400 & Shipping.